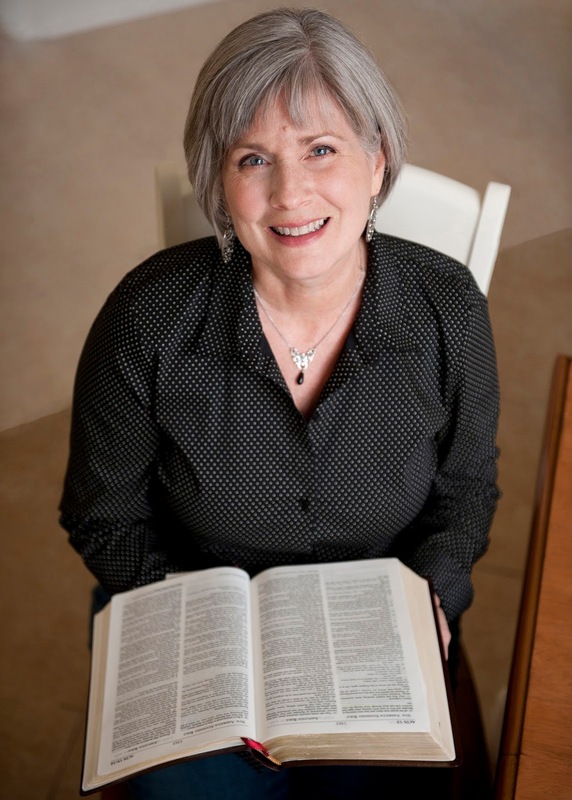 I love to help others learn to pray God’s Word, know God’s Word, and believe God’s Word. 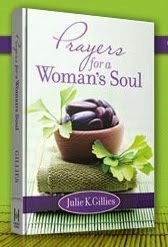 When we pray it we declare truth and God’s sovereignty over us and our situations. When we know it we are stabilized, strengthened, and transformed. And when we believe it we are able to embrace His promises and walk in all He has called us to. The oldest of five children, my childhood was marked by neglect, trauma, and violence. On my own at 17, I dropped out of high school to earn a living. Married as soon as I turned 18, I was a divorced single mom at 21 who worked two jobs and struggled to provide for my son. What I’ve learned is that our past doesn’t have to hold us hostage and that God has the unfathomable ability to not only beautifully heal and transform our lives, but to make them fit perfectly within His eternal purposes and plans. It’s crazy that God can use an uneducated former homeschooling mom to write, but who am I to argue? 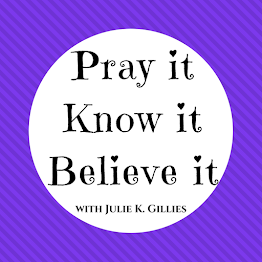 I don’t know what God has called you to do, but I know this...God can do ANYTHING in and through us when we pray without ceasing, believe Him in spite of what we see, and dare to dream God-sized dreams. 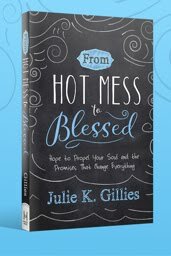 Julie K. Gillies is the author of the devotional, Prayers for a Woman's Soul and her new book releasing August 1, 2017, From Hot Mess to Blessed: Hope to Propel Your Soul and the Promises that Change Everything (Harvest House Publishers). 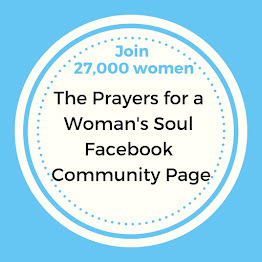 Healed from a traumatic childhood and awed that God uses even a far from perfect high school drop out to do the most unlikely things, her message helps women pray with boldness, confidence, and the certainty that God hears. Julie is the joyful wife of Keith, mom of three and Grammy of four. She loves baking from scratch, bicycling with her hubby, any day without humidity, and hanging out with the entire family at home, especially on days when her house is clean. I’m an introvert who loves people, laughing with friends until I can barely breathe, and deeply inhaling the scent of a apple cider mill where fresh donuts are made. I adore autumn, books and movies that make me think, and I especially like it when someone else cleans the bathroom. Most embarrassed about: My forgetfulness. Clearly my brain cells are racing down a steep, rough dirt road on a rickety old bike. And let’s just say more than a few of those brain cells have landed in the dust. Most happy when: I’m with my family (especially my four grandkids!) any time, but especially during the holidays. I love a jam-packed house with loads of crazy, snorting laughter, lots of kiddos, and enticing aromas emanating from my kitchen. Most want to: Take a cross-country road trip in an RV with my entire family. I can picture it: a mighty RV convoy chugging over the Grand Tetons. The Wild West will never be the same.